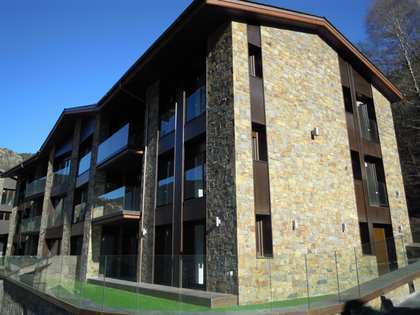 Excellent modern apartment with 2 bedrooms and a large multipurpose room for sale in Engordany Escaldes, Andorra. 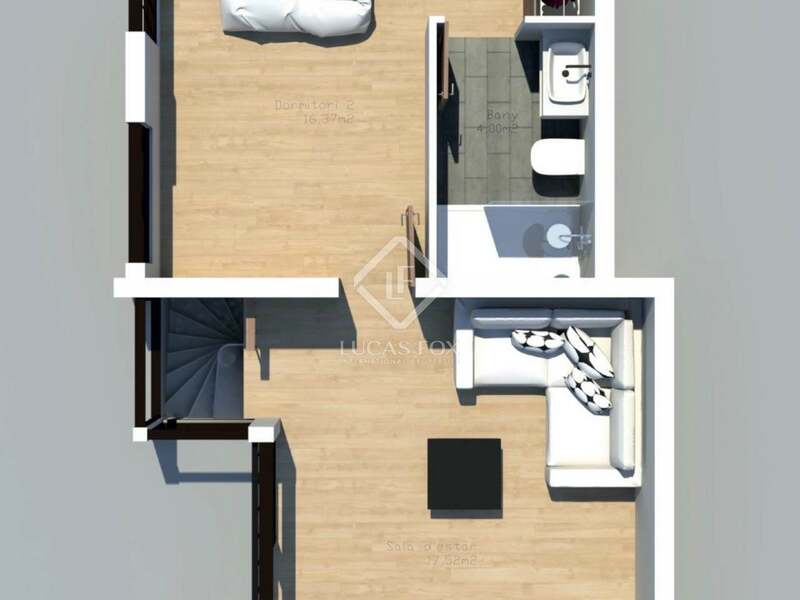 This excellent 2-bedroom ground floor apartment measures 84 m² and is a very comfortable, bright, spacious home. 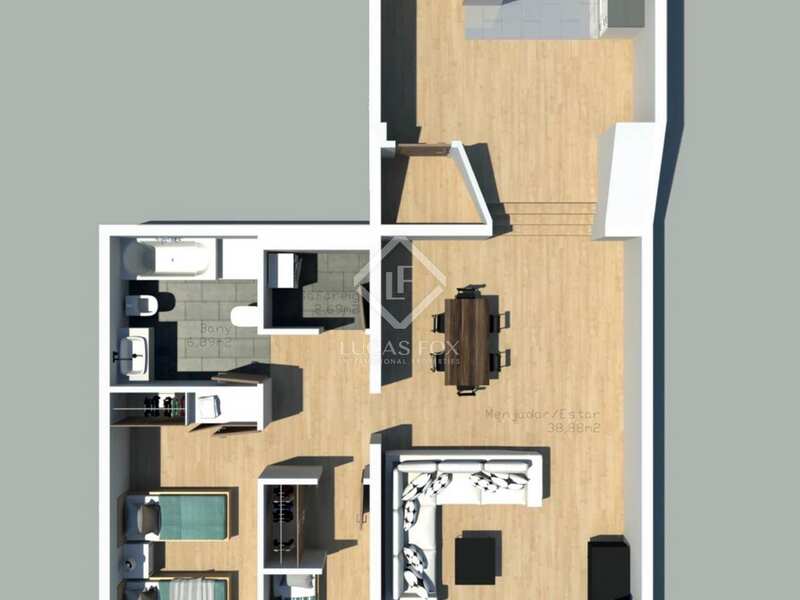 It consists of a living room, terrace, kitchen, 2 bedrooms and a large bathroom with a shower and modern design throughout. One of the highlights of this property is the fabulous 112 m² room with large windows that is accessed via a spiral staircase from the terrace. This room would be ideal as a cinema, gym or games room for example. The property comes with a utility room and a parking space in the same building.